A soft breeze is blowing around us as we sail down the Canal Lateral a La Loire. There is no other boat in sight; it’s just our group of four—myself, my husband Duncan and a couple of friends—enjoying the peace and quiet of this extraordinary boating holiday. The thought of our warm, crusty baguettes for lunch, with locally grown, juicy tomatoes, fresh from the market this morning, is only minutes away. The cheeky bottle of Sancerre rosé, also bought locally at the market, is chilling nicely. Lunch for the four of us costs €5 ($8). What could be better? Life is simple, relaxed and time is on our side. We are all retirees enjoying our early retirement years. Duncan and I are digital nomad roving retirees. Our life involves adventures of this kind, travelling wherever and whenever. We are no strangers to canal cruising in France, having traversed the canals of the Loire, Burgundy and Brittany when our two boys were younger. It is definitely a holiday for families and couples, no matter what age. There are those who make it their way of life, living on board their own boats and sailing the waterways of Europe whenever they want to chase the sun. It’s a slow-paced journey. At times, chateaux appear around the bends in the canal, making us gasp in surprise at their sheer beauty. The lush, green countryside in this region of France shimmers in the evening twilight. Colourful flower hanging baskets adorn stone bridges and centuries-old lampposts. We wave and shout out “Bonjour” to the cyclists and walkers who travel down the paths adjacent to the canals. There are many opportunities to pull up in small villages for the night. In the morning, you can buy freshly-made, buttery croissants from the local boulangerie (bakery) or shop for locally grown produce, cheese and wine on their market days. We spent the night at a small village, Menetreol-sous-Sancerre and caught a local taxi to the town of Sancerre, famous for its rosé wine. The Castle of Sancerre, one of the strongest built during the Middle Ages, is a little worse for wear these days, but still sits proudly in the centre of the town at the highest point on the hill, where it can be seen from miles around. Whilst in Sancerre, we visited the La Maison des Sancerre. For €8 ($13) per person, you can enjoy an interactive wine experience while learning about the secrets of the appellation, with a wine tasting included. Sancerre is a delight to wander around. Wine shops abound, and restaurants and bars line the pavement, full of locals and tourists alike. We did not leave empty-handed; the temptation of enjoying another chilled glass was too great. We enjoyed many a chat with the local lockmasters who offered us ice cream, wine, cheeses and cold drinks as we positioned ourselves in the locks, ready to go upstream or downstream, depending on our direction. 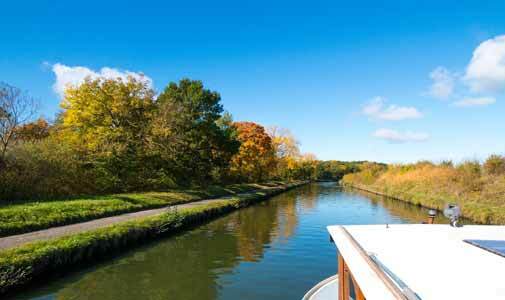 Entering the locks can be daunting for first-timers, but once you manage your first one, it’s a breeze after that. The canal boats come equipped with bicycles for a small fee. This gives you the flexibility to explore the countryside more, stopping off at smaller villages along the way or attending the local markets. 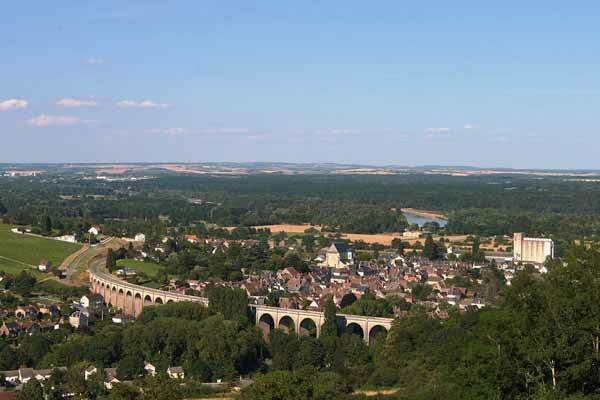 France is a country full of wonderful experiences and adventures, with excellent cuisine and of course great wine. 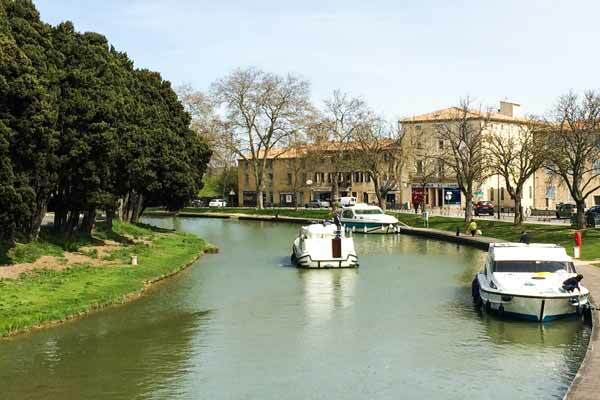 A sailing holiday through the canals in France’s different regions is a perfect way to enjoy a holiday as a couple or with the extended family.